The core is the foundation of movement and its strength and stability are keys to fitness and athletic performance, as well as injury prevention. The core is activated in all activities we perform, and since we perform most movements while standing, it’s important to perform vertical core exercises. In sports, exercise, manual handling of materials in industry, and activities of daily living (ADL) our clients must be able to maintain balance, prevent injury, and move efficiently, all while moving in multiple plans of motion. This requires the core to stabilize, accelerate, decelerate, rotate, and aid in lifting. Explain how the core works in all the activities in which our clients participate. Describe how the core is used in movement and how all upper body, arm and leg movements originate from the core. Implement the creative ways to train the core in order to improve performance, core function, and prevent injury. Organize a “tool box” of vertical core training exercises to use with personal training clients. Categorize exercises according to vertical, single-/double-leg, pelvic stability, lunge position, and power movements for athletics. The core is engaged in all activities (e.g., walking, running, sitting, standing from a seated position, lifting, carrying, pushing, pulling, rotating, trunk flexion, lateral flexion, hip rotation, maintaining static postures, and carrying uneven loads). Activities of daily living include all of these movements and postures. When performing activities of daily living, maintaining a neutral spine can help prevent injury. This means lifting with the legs as much as possible so that the natural curves in the spine are maintained. 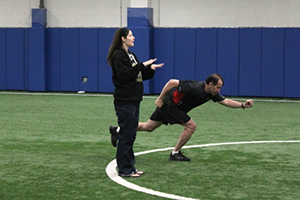 The goal of a core training program, for clients who want improved function for ADL’s, is to improve core strength and endurance. The exercises selected for the program should improve functional capacity of the core, most of which can be done in a vertical position. 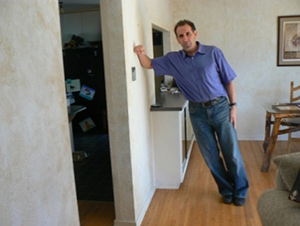 Work postures include most of the postures of ADL’s. In work situations, the primary concerns for back injury are postures and movements such as: repeated trunk flexion, loaded trunk flexion, loaded trunk rotation, and lifting loads that are too heavy (instead of using mechanical lifting devices). The goal of an exercise program for “occupational athletes” is to reverse the chronic static postures that people maintain throughout the day, increase the strength and endurance of the core muscles so that they can better support the spine, and help in manual handling of materials and movement in the work setting. In a fitness setting, it is important to maintain a neutral spine when performing exercises. There can be some “at risk” postures such as picking up and putting down heavy objects (e.g., kettlebells, dumbbells, or med balls) with improper lifting technique, calling for the trainer to insist on proper lifting techniques when performing the exercise. Most trainers are good at giving clients instruction, proper technique, and feedback for exercises that require lifting. However, there can be a disconnect in lifting mechanics when, for instance, picking up and putting down equipment in preparation for the exercise. Some trainers (and clients) forget that proper lifting techniques are essential in all aspects of exercise. Trainers must demonstrate and give feedback to clients about proper biomechanics of exercises such as squats, but we must also insist on proper biomechanics of lifting and putting down objects when preparing for an exercise or even moving equipment. All of these movements and exercises are vertical core training. It is these kinds of exercises that can be the most functional for our clients in terms of improving their ability to move effectively. 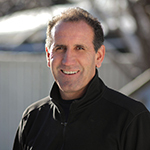 Spinal biomechanist, Stuart McGill (2001, 2002), describes core stability as, “the ability to maintain your posture and balance while moving your extremities.” Moreover, he indicates that from a spine perspective, it has little to do with the ability to balance on a stability ball (McGill, 2010). Kohler, Flanagan, & Whiting (2010), concur by suggesting that many people believe the most effective way to recruit the core stabilizing muscles is to execute traditional exercise movements on unstable surfaces such as a BOSU balance trainer or a stability ball. However, physical activity/exercise/sports are rarely performed with a load on an unstable surface; usually the surface is stable, and the external resistance is not. Weight training lifts can be performed while standing on stable ground and still recruit the core muscles (Willardson, Fontana, & Bressel, 2009). Kibler, Press, and Sciascia (2006) describe the function of the core in sports as proximal stability for distal mobility, proximal to distal generation of force, and moving and protecting distal joints from injury. McGill (2010) goes further with core stability by describing that the function of the quadratus lumborum. He indicates that one of the first indicators that the core allows strength to radiate out to distant regions of the body was that the quadratus lumborum assists in pelvis elevation to allow the swing leg to make a step. In a classic training analogy indicating the function, and importance of performing exercises that engage the core, McGill (2010) indicates that a prone bench press is primarily governed by the chest, shoulder, and arm muscles with the external weight being pushed against the bench, with little effect from the core stabilizing muscles. Whereas, the standing chest press (using pulleys, rubber resistance, suspension trainer, or partner drills) performance is governed by the chest, shoulder, and arm muscles, but to a great extent the strength of the core to maintain balance and to radiate strength to the distal limbs. Certainly from a sports training perspective, this is a much more practical and functional way to train for improved performance in many sports. The stability of the lumbopelvic region is crucial in providing a foundation for movement of upper and lower extremities, help support loads, and protect the spinal cord and nerve roots (Panjabi, 1992). Moreover, McGill (www.backfitpro.com) indicates that when evaluating athletes, it was found that their power was generated in the hips and transmitted through a stiffened core. McGill further suggests that the core is not a power generator; rather the power comes from the hips (with the exception of throwers and other athletes that have unique core power requirements). Most athletes use the core/torso muscles more as anti-motion controllers primarily for acceleration and deceleration. McGill (www.backfitpro.com) further explains that twisting the spine is different from generating twisting torque from the pelvis and generating the force to the distal extremities. As an example, when baseball pitchers throw a ball, the muscle activation starts from the opposite external oblique and proceeds to the arm (Young et al., 1996). Standing Front Plank: leaning on a wall, hold 10 – 20 seconds. Standing Side Planks: leaning on wall, hold 10 – 20 seconds each side. 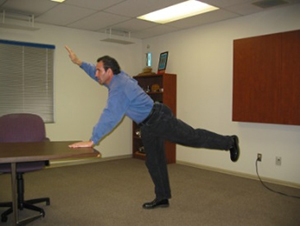 Standing Bird Dog: leaning on wall or desk, perform 10 – 20 repetitions each side. Standing Cat-Camel: leaning on knees or standing, move thoracic spine up and down in a pain free range of motion. Perform 10 – 20 repetitions (up and down is one repetition). Scapula Adduction: (arms crossed and scapula squeeze): hold for 10 – 20 counts, or it can be performed with repetitions. 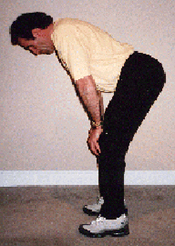 Cat-Camel with Pelvic Tilt: perform 10 – 20 repetitions. Standing Pelvic Tilt: perform 10 – 20 repetitions. Standing Pelvic Tilt (static): hold in posterior tilt position, contract abdominals and hold for 10 – 15 seconds. Standing Pelvic Tilt (with kegel exercise): hold in posterior tilt position, contract abdominals while performing a kegel exercise and hold for 10 – 15 seconds. Single-leg Pelvic Stability: balance on one leg with the opposite hip flexed at 90 degrees/knee flexed at 90 degree. Maintain parallel hips/pelvis, hold for 5 – 10 seconds. Single-leg Pelvic Stability with Hip Extension (toe on ground): keep toe on the ground for balance. 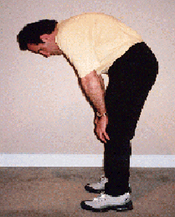 Maintain trunk flexion (same as the picture below, except put the toe on the ground for balance). Perform 5 – 10 repetitions. Single-leg Pelvic Stability with Hip Extension (toe off ground): same exercise as above, except keeping the toe off the ground to challenge balance more. Perform 5 – 10 repetitions. 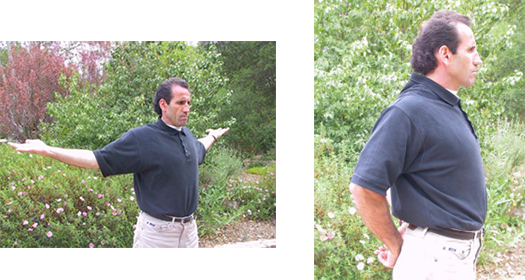 Standing Pelvic Rotation: stand with feet slightly wider than shoulder-width and forcefully rotate hips left and right. Allow the upper body and arms to follow through after rotating the hips. Perform 10 – 20 repetitions in each direction. Lunge Pelvic Rotation: stand in a lunge position with left leg forward and hips “open.” Forcefully rotate hips to the left to emulate a throwing movement. Allow upper body and right arm to follow through after hip rotation. Perform 10 – 15 repetitions, then repeat with the right leg forward. Standing Pelvic Rotation with Rubber Band Resistance: stand in an “athletic position,” holding rubber tubing with both hands to the right of the body. A partner can hold the other end of the rubber tubing or band can be attached to a stable surface. Forcefully rotate hips and pull the rubber tubing through the movement that is initiated by hip rotation; left to right, then right to left. Perform 10 – 15 repetitions. Lunge Pelvic Rotation with Rubber Band Resistance: same exercise as above, except the partner performing the exercise is standing in a lunge position, left leg forward (rotating to the left and moving the resistance to the left) then right leg forward (rotating to the right and moving the resistance to the right). Perform 10 – 15 repetitions. “Throwing” Lunge Position Pelvic Rotation with Rubber Resistance: stand in a lunge position and hold rubber tubing in a “throwing position” with one arm. Forcefully rotate hips to initiate a throwing movement. After rotating the hips, the core follows through and the arm brings the rubber tubing forward as far as possible. Perform 5 – 10 repetitions, then repeat with opposite leg forward. For the following exercises, the resistance should be held by one partner facing the other partner performing the exercise. Maintain a one foot or two foot balance, using the same leg/arm or opposite leg/arm. For balance, and efficient movement, it is more effective to have one person performing the exercise while the other partner stabilizes the other end. For the following exercises, the resistance should be held by one partner behind the exerciser. Maintain a one foot or two foot balance, using the same leg/arm or opposite leg/arm. For balance, and efficient movement, it is more effective to have only one person performing the exercise while the other partner stabilizes the other end. 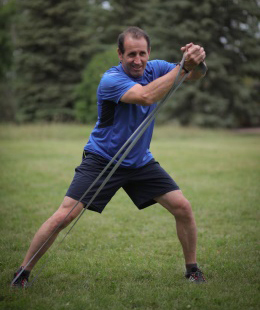 Cross body single-arm pull with hip rotation: anchor rubber tubing on opposite foot, pull up and across with opposite arm. Double Arm Core Rotation: start at the point where the rubber resistance is tight, then pull across the body using the legs, hips, and core to pull across the body, pulling up at high as possible, 10 – 15 repetitions. All “movements” can be done with feet wider than shoulder width, i.e, an “athletic position,” or in a lunge position. These exercises are excellent for athletic performance because the movement of the med ball and the muscles cause an acceleration and a deceleration contraction. For instance, in the up and down chop, when the ball is moved down, there is acceleration contraction of the anterior core muscles, and a declaration contraction of the posterior core muscles. All other movements of the med ball cause similar acceleration and deceleration contractions depending on the direction of movement. Chop Up and Down, Ballistic Flexion: extension of the shoulders to engage acceleration and deceleration of the core, 20 – 40 repetitions. Perform same exercise while balancing on one foot. Lateral Chops: start with med ball over right shoulder, bring it down forcefully to the left hip, and perform ballistic lateral chops. Switch to moving the med ball from left shoulder to right hip, 20 – 40 repetitions. Perform same exercise while balancing on one foot. Rotation Left and Right: start with the ball on the right side of the body, then with ballistic movements move the ball from side-to-side of the body (this is rotation for athletic performance), 20 – 40 repetitions. Perform same exercise while balancing on one foot. Med Ball Slams (ballistic concentric contraction of the abdominals for acceleration in sports performance): the slams can be done without a partner if there are enough med balls, or with a partner where the “slam” is going to be caught by a partner (after the ball bounces on the ground) who then “slams” the ball back to the partner. Start with the ball above the head, the movement is initiated by a forceful contraction of the anterior core muscles. Move the ball as quickly as possible, bouncing it off the ground and catching it, or bouncing it to a partner. Caution must be taken not to get hit in the head or face when the ball bounces up. 20 – 40 repetitions. Perform same exercise while balancing on one foot. Lunges Holding Ball in Front with Both Hands: 10 – 20 repetitions. Lunges with Torso Rotation Holding the Ball with Both hands: 10 – 20 repetitions. Lunges Holding the Ball with Both Hands (moving the ball up when going down): 10 – 20 repetitions. Lunges Holding the Ball with Both Hand (moving the ball down from an elevated position above the head when going down): 10 – 20 repetitions. Lunges Holding Ball with 1-hand in Front, 10 Repetitions Holding Ball with Right Hand, 10 Repetitions Holding the Ball with Left Hand. Lunges Holding Ball in 1-hand to Side, 10 Repetitions Holding Ball with Right Hand, 10 Repetitions Holding the Ball with Left Hand. Lunges Moving Ball with Each Lunge, Right-side, Right-front, Left-front, Left-side, 10 – 20 Repetitions. Standing Pelvic Rotation (ballistic rotation with med ball): throw ball to partner or wall. 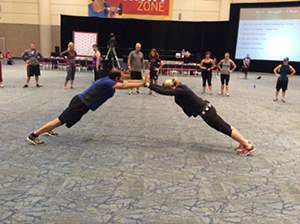 Standing Partner Push-ups: can be done with one partner stabilizing and the other partner doing the push-ups, or both partners can do the push-up. There is significant core activation when performing vertical core partner drills such as this one. 5 – 15 repetitions. Standing Partner Push – Pull: This exercise is the same as a standing cable press and standing cable row. As mentioned by McGill (2010) these movements/exercises have significant core engagement to stabilize the body against the resistance. It is important to have a “thumb grip” for safety and efficient exercise performance. When performing these exercises it is important for clients to be in an “athletic position” in order to give maximum resistance. When performing the “pull” to emulate the cable row, the partner who is “pulling” moves his/her arm against the resistance of the partner who is making it hard to pull back, this is the concentric contraction of the partern pulling back, and the eccentric contraction of the partner resisting the movement. Then the movement is reversed so that the contractions are different for each partner. Likewise when performing the “push” one partner pushes against the resistance provided by the other partner to complete the concentric and eccentric contractions. Notice in the picture below the left feet are forward for each partner, when they are performing the exercises with their right arms. For this exercise, there can be sets performed for strength (6 – 10 repetitions), power (3-5 repetitions), and endurance (15 – 20 repetitions). Kibler, W.B., Pres, J. and Sciascia, A. (2006). The Role of Core Stability in Athletic Function. Sports Med, 36 (3): 189-198. Kohler JM, Flanagan SP, Whiting WC (2010). Muscle activation patterns while lifting stable and unstable loads on stable and unstable surfaces. J Strength Cond Res. 24(2):313-21. McGill, S.M. ( 2010). Core Training: Evidence Translating to Better Performance and Injury Prevention, Strength & Conditioning J. 32(3), 33-46. McGill, S.M. (2002). Low back disorders: Evidence based prevention and rehabilitation, Second Edition, Human Kinetics Publishers, Champaign, IL. McGill, S.M. (2001). Low back stability: From formal description to issues for performance and rehabilitation. Exerc. Sport Sci. Rev, 29(1), pp:26-31, 2001. Panjabi, M.M. (1992). The stabilizing system of the spine. Part I. Function, dysfunction, adaptation, and enhancement. J. Spinal Disord. 5:383-389. Willardson JM, Fontana FE, & Bressel E. (2009). Effect of surface stability on core muscle activity for dynamic resistance exercises. Int J Sports Physiol Perform 4(1):97-109. Willardson, J.M. (2007). 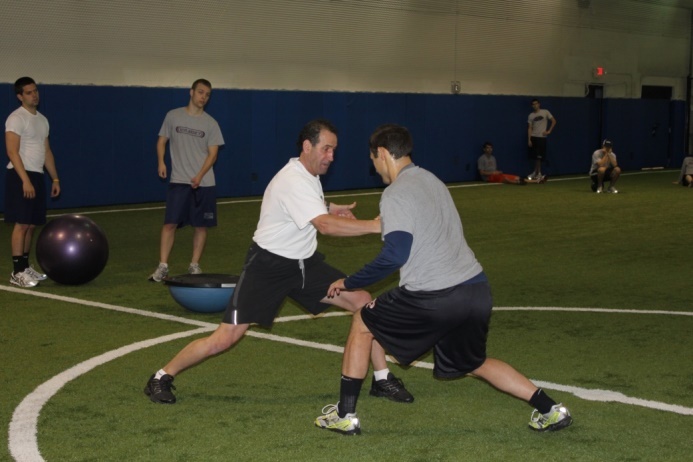 Core stability training: applications to sports conditioning programs, J Strength Cond Res, 21(3), 979-985.